It was a very bad news for people who used to chat right from the Facebook app in their smartphones, as Facebook remove the messaging capabilities completely from their official app and force users to download and use the Messenger app instead. Though according to Facebook, Messenger is great with lots of features, it’s fast and have options like sending photos and stickers, some people just want only a good chatting experience. 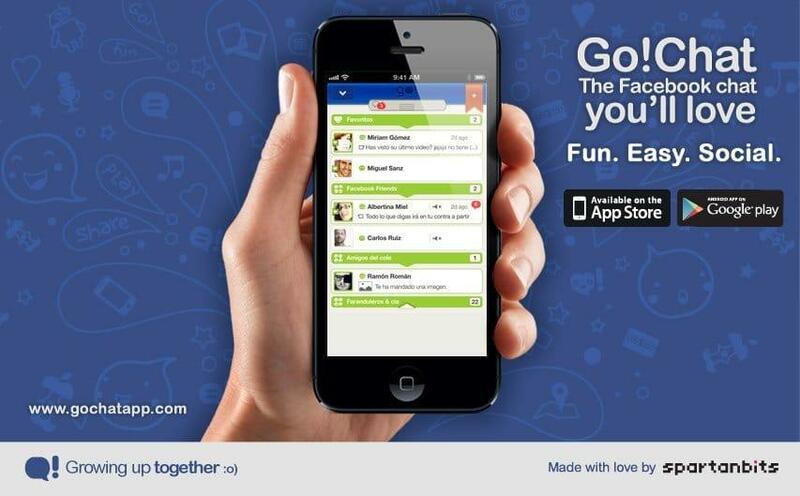 So, I just thought of sharing the list of Top 5 messaging apps for chatting with your friends on Facebook. And I can bet that you will love these apps and we’re mainly concentrating on Android apps. Let’s start with our listing. Actually, this app has been my all time favorite Facebook cat app. It is fast, simple and easy to use, also it has a lot of features packed like you can set your chat status and send an automated message when you’re away for a while. Here’s the list of features. • Change interface appearance: 5 different themes! 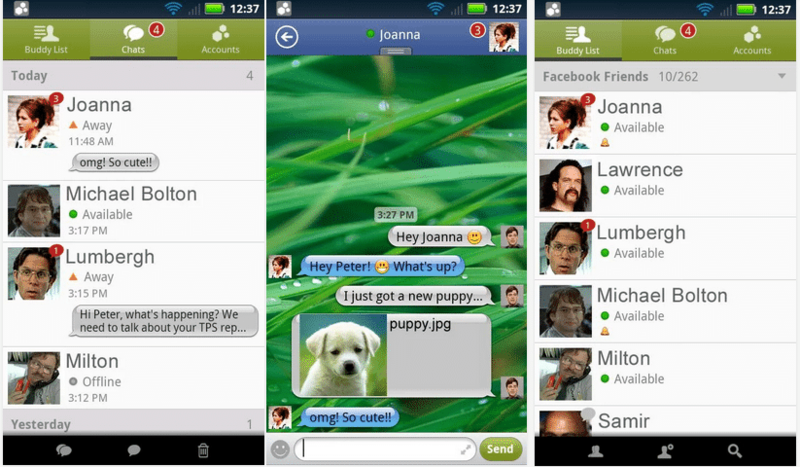 • Quickly jump between different chats, because instant messaging needs to be fast! • Devil, Christmas and Classic themes, and more are coming! • No additional fees, 100% free, it only uses your internet data connection or WiFi. Get it now, available for Android. This is also one of my top 5 list, I had been using the Friendcaster app for Android for Facebooking. It’s too smooth and well furnished and loads very fast. And I love it till now because I had been using this app since the last 5 years instead of the official Facebook app, which is damn slow. On the other hand, it is quite fast and now, when they got popular, they released Friendcaster Chat for chatting on Facebook. It just works like magic when you’re on 3G or wi-fi, but I faced some problems while on 2G, so not on the top place but it surely deserves the 2nd place on our top5 messaging apps for Facebook list. Get it now. Save Money: Chat using your existing data plan, no per-message charges. Reliable and Efficient: Be connected 24/7 and it’s gentle on your battery. Push Notifications: Be connected even after you close the app. Get notified instantly when you get a new message (requires OS 2.2+). Share Files: Send and receive files, including pictures and voice notes. Universal Interface: Optimized for both tablets and phones. Stay Connected: Log in with multiple Facebook accounts. 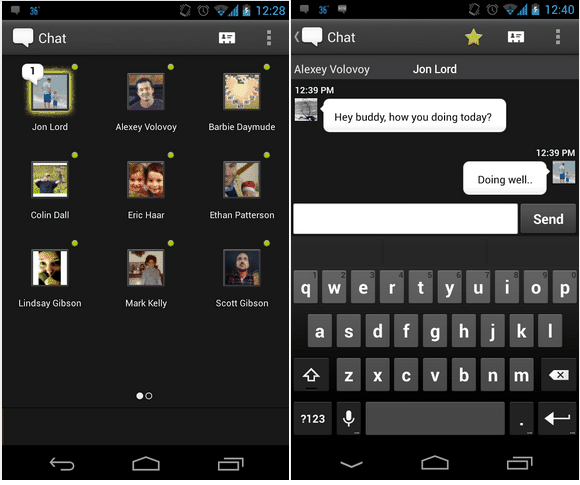 Highly Customizable: Choose your color theme, chat wallpaper, buddy list styles, and more! No Sign-Up Required: Just sign in with your existing IM accounts, no need to sign up for anything! 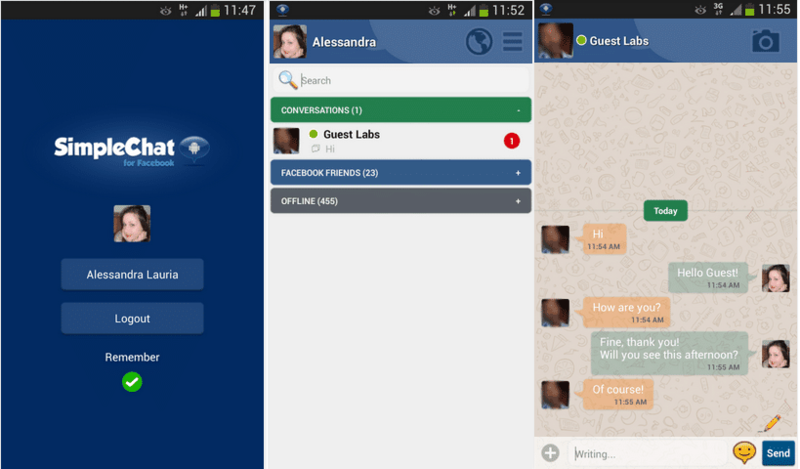 * Real-time Chats: Quickly switch between multiple simultaneous chats. * Full Unicode Support: Chat in any language supported by your Android device. * Landscape Option: Type with a larger keyboard. * Save Chats: Email your chats to save your chat history. * Hyperlink Support: Automatically parses links for web pages, YouTube videos, email addresses, twitter usernames, and phone numbers. * Full Featured Buddy List: Sort, group, and easily search through your buddy list. * Buddy Pounce: Receive an alert when your friends come online. * Configurable Alerts: Customizable sound and vibrate settings. * Buddy Icons: View your friends’ icons. This is a very old app, and packed with lots of features. I used it or a while and it din’t let e down. Though they should make some improvements in the app. Using mChat is like sending a free SMS! This is at the last, but not bad at all. Works pretty well. I tried it out for a while and I must say that the developers worked on it pretty well. Here are its features.